Dr. Dustin Moore was born in El Paso, TX where his parents were completing their medical training. He moved to Austin at a young age where he grew up in the beautiful Texas Hill Country. He has one older brother and two younger brothers, two of which are also orthopedic surgeons. After attending high school at St. Michaels Academy, Dr. Moore left Texas for a while to complete his undergraduate degree at Boston College. He lived in New England for four years studying communications and working as a part time real estate agent. He enjoyed the rich cultures of America’s roots, but got back to Texas as soon as he could to attend medical school at The University of Texas Medical Branch in Galveston. There, he met the love of his life Trina. Together Trina and him moved to Lubbock where Dr. Moore attended orthopedic residency at Texas Tech Health Sciences Center.They welcomed their daughter, Blakely, just before they moved back to Austin to be close to his family and join in practice with his brother and father. Dr. Moore enjoys spending time with his family and traveling the world. He and his wife, Trina, have a passion for travel and adventure. They have been all over the world together including Thailand, Germany, Turkey, Greece, Italy and Mexico. They are excited to share these adventures with their child. Dr. Moore is excited to begin his next adventure in Austin. He is a member of the Justin Sports Medicine team taking care of injured cowboys in and out of the arena. 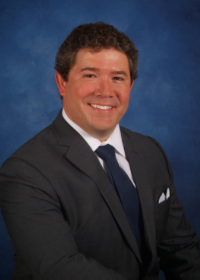 He is committed to taking care of the people of Austin and its surrounding areas for their sports and orthopedic needs.